Only Fair Trade nativity scenes from Vietnam are on this page. 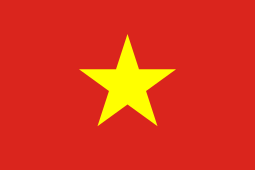 Vietnam, officially the Socialist Republic of Vietnam is the easternmost country on the Indochina Peninsula in Southeast Asia. Legend has it that the peoples of this land originated from a union between an immortal Chinese princess and The Dragon Lord of the Seas.